Our deck faces the lake where we watch sailboats come and go from the Vernon Yacht Club. The Windsor style home we purchased is just the right size for entertaining, and yet it is cozy enough for the two off us to feel comfortable on our own. Our backyard vegetable garden supplied us with fresh strawberries throughout the summer, and this year we hope to harvest a small yield of grapes. The Spa services are first rate, and the clubhouse is a convenient place to meet up with neighbours, many of whom are from our home town of Edmonton. We’ve started to use our home for short vacations during all the seasons of the year. We particularly like the springtime when balsam root flowers cover the hillsides and we can take pleasant walks. Our family lives in Seattle. We visited friends in the Okanagan for the first time about five years ago, and we were really impressed by the activities so close at hand. Great snow in the winter for skiing, everlasting sunshine for months at a time in the summer for lake activities, and pleasant shoulder seasons for hiking and bicycle riding, antiquing, visiting wineries, and hanging out. 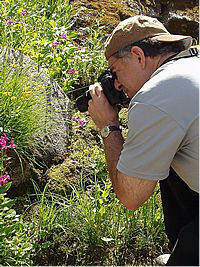 We love to hike and photograph flowers in the nearby mountains. Our entire family is excited about the prospect of spending holidays in the Okanagan, and enjoying the new Spa and Fitness Center being completed for homeowners. Making personal interior selections went very smoothly. And best of all, there was no extra cost to finish the house with details the way we wanted. Instead of travelling to distant resorts, we find ourselves coming to Vernon for winter ski holidays, and we have comfort and cost savings of staying in our own home. I may be young, but I know a good deal when I find it. Just starting out in my real estate career, I needed a home close to town and convenient to all the Okanagan activities that I love. But even more, I wanted a home that makes me feel like I am on vacation every day of the year. Born and raised in Vernon, I must say that I am drawn to Okanagan Landing with its unrivaled connection to the lake. And in winter I can reach the ski slopes in less than thirty minutes. As my first major investment in housing, I have confidence that SEASONS is one of the most solid places to purchase in Vernon. Only Predator Ridge has a comparable Spa and Fitness Center, and sought after amenities like this will keep homes at SEASONS in high demand over the years. I love that the house is virtually maintenance free, and all the landscaping is taken care of as well. Hats off to the Developer. At our Christmas party this year nobody wanted to leave. Being long time residents of Vernon, we have a lot of friends, and our new neighbors at SEASONS joined in the festivities. I finally have a kitchen and living area big enough for everybody to gather. 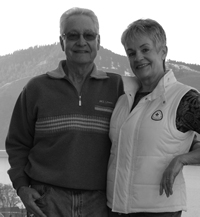 Judy and I are partially retired, so we have the time to fulfill our dreams with satisfying volunteer work, sailing, skiing, golfing, traveling and enjoying our full time Okanagan lifestyle. We looked for and found a home at Seasons that met our needs and expectations – low maintenance, convenient to town and to the lake where we keep our sail boat, quiet, and a good investment. As the final phase is built out this year, all of the construction activity will end, the remaining homes will be landscaped, and we will feel like we are in a community that has been here for a long time. This spring the SEASONS Spa and Fitness Club will open for us, and we will be able to stay right at home to enjoy this incredible amenity. Do you have a story to share? Please contact us here.